Takashi Niigaki has come forward to admit being part of Japan’s Beethoven fraud. 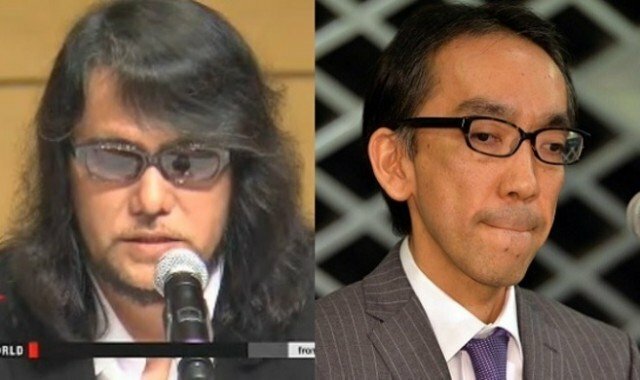 The ghostwriter for the man dubbed “Japan’s Beethoven” has admitted being his accomplice and questioned Mamoru Samuragochi’s deafness. Mamoru Samuragochi, 50, is said to have lost his hearing at the age of 35 but continued to present acclaimed pieces. But he has confessed that he had not composed his own music since 1996. He told a press conference that he had worked with Mamoru Samuragochi for nearly two decades, and had in fact composed his most critically-acclaimed works including Hiroshima Symphony No 1, which was dedicated to the victims of the atomic bomb of 1945. Takashi Niigaki said he would compose pieces for Mamoru Samuragochi, who would then choose which ones to put his name to. “I have been composing music pieces for him for 18 years since I first met Mr. Samuragochi,” said Takashi Niigaki. He said their working relationship ended last year. But Mamoru Samuragochi’s lawyer, Kazushi Orimoto, denied there had been a deception over his hearing, and that he had been classified as having severe hearing loss. Through his lawyer, Mamoru Samuragochi said on Wednesday that he was “deeply sorry as he has betrayed fans and disappointed others”. Mamoru Samuragoch’s made his first breakthrough creating music for video games including Resident Evil and Onimusha.